I saw this species for the first time as far as I know, but I don't know what it is. 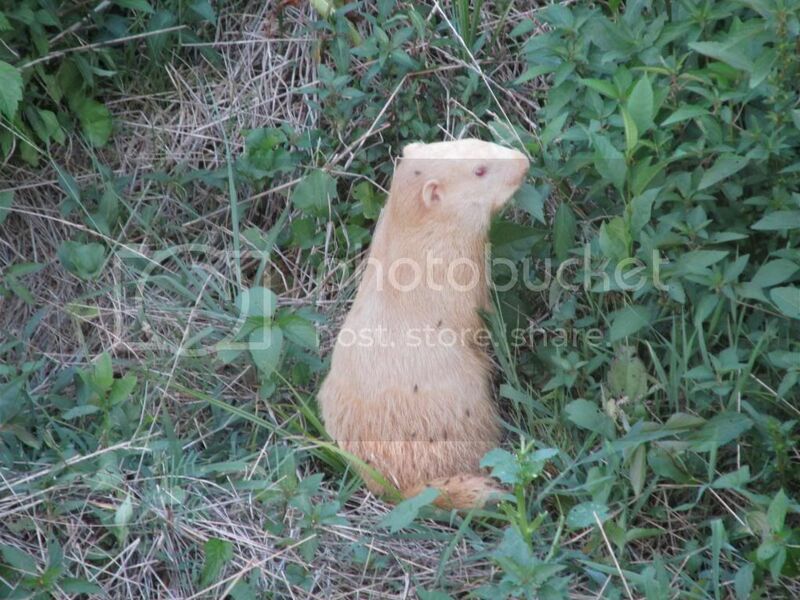 It is an albino woodchuck! Cool find! That is very cool, Dery. What part of the country? That is a very cool find, SD.